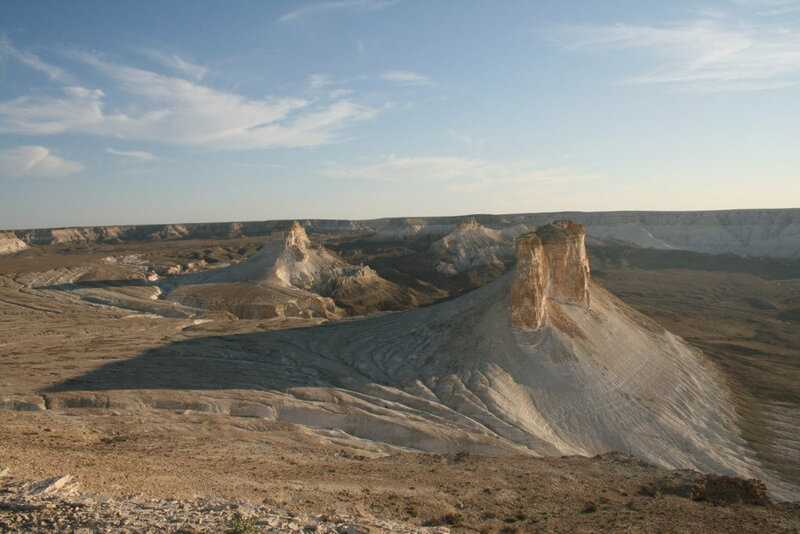 Departure from Nukus at 8 o'clock in the morning, to discover the Ustyurt plateau and Aral Sea life. Pass via Kungrad district that is used to be one of trading centers on the Silk Road. Continue to the Ustyurt plateau, stop at the lake Sudochie, have picnic lunch. Visit the fishermen's house, old fish factory Urga. On the way visit the former Light house, see the settelement of the gas plant. Visit airport on Ustyurt plateau. 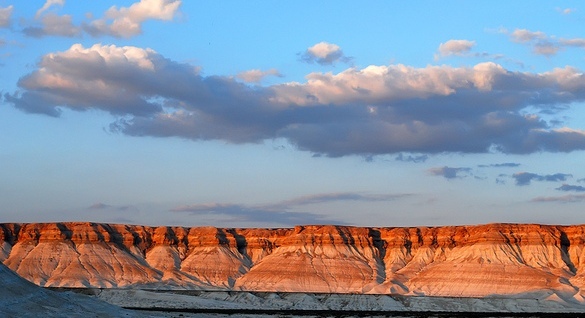 Stop to take pictures of beautiful Canyons and the collapsed land. 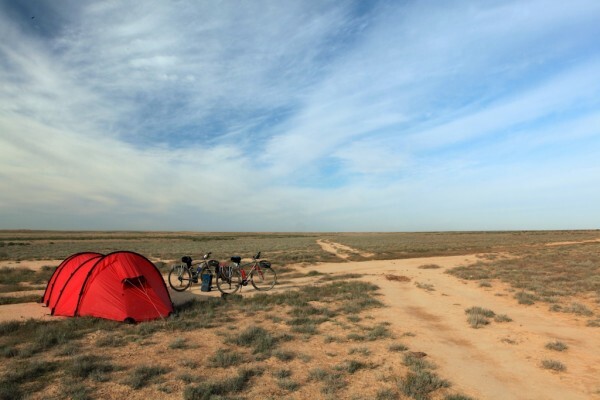 Arrive to the Aral Sea. Have a walk (around 1 hour) from the camping ground to the nearby Kurganch-Kala - an old caravan serai hidden in the hills of Ustyurt. Set up the tent. Dinner. Overnight in the tent. Early wake up to take pictures of sunrise. Have a breakfast. Transfer to Muynak. Drive on the dried bottom of the sea, pass the gas towers, arrive to Uchsai-Gas plant. Lunch at a guesthouse in Muynak. Visit the "cemetery of ships", local museum, watch the short video about Muynak life at the museum. Drive to Khodjeyli, visit Mizdakhan architectural complex (XIV century) and Gyaur kala ruins that were destroyed Chingiz-khan. Arrive in Nukus around 5 PM.